A quick snack or delicious breakfast! 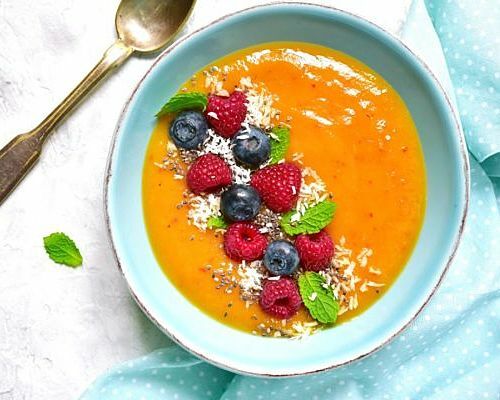 Smoothie bowls are rich in nutrients and naturally sweet. 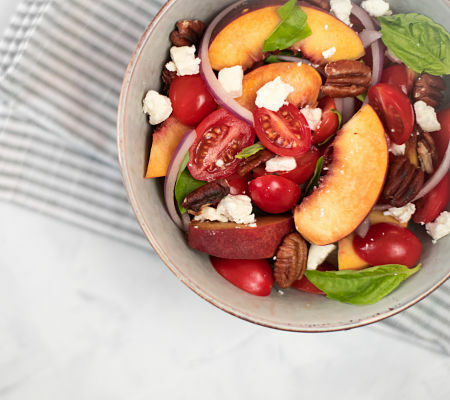 Colorful and full of flavor, this will be your new go-to side salad for summertime. Warm weather brings grilling season! 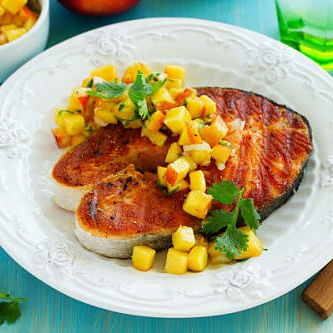 Grilled salmon is an easy and healthy grilling option. 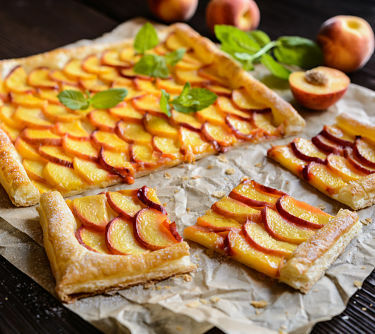 Buttery, crispy pastry alongside sweet, tender peaches. Yes, please! 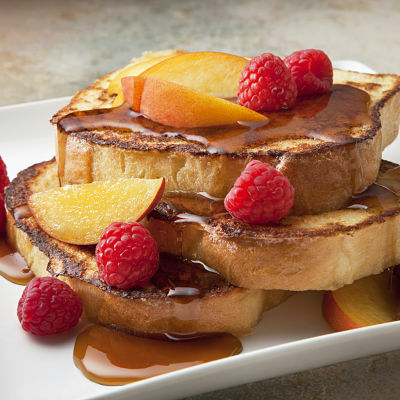 A sweet, peachy twist on a classic breakfast.